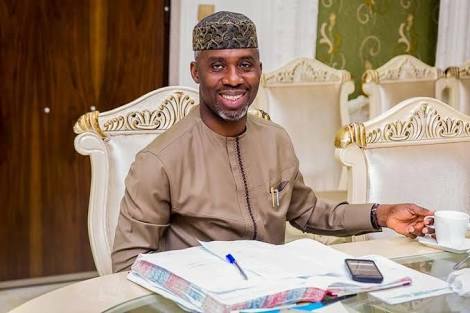 According to multiple reports, ex-Chief of Staff and In-law to Governor Rochas Okorocha, Mr. Uche Nwosu has dumped the ruling All Progressives Congress, APC for the Democratic Peoples' party, DPP. Nwosu alongside Okorocha's aides and a member of lawmakers in the state house of assembly defected with their supporters. This development is arising from the refusal of the APC to field Nwosu as the party's Gubernatorial aspirant in the upcoming state governorship elections. Okorocha and APC national chairman Adams Oshiomole have been at each other's neck over the party's governorship ticket for Imo, with both men sticking to their positions.